This is an in depth examination of Haiti and the splendour of its revolution, while at the same time James writes the history of places the way they should always be written, as playing a part on a world-wide stage, deeply influenced by and deeply influencing other countries. France’s wealthiest colony, San Domingo funded the French Revolution, it diverted a sizeable number of (and bested) British forces from the war against Napoleon for years, and in turn decimated the immense flotilla that Napoleon himself sent against it. To my shame, and a history of willful ignoring by the world, I knew very little about the Haitian Revolution. I had never heard or read of the immense importance this small island played in ‘European affairs’. The other side? 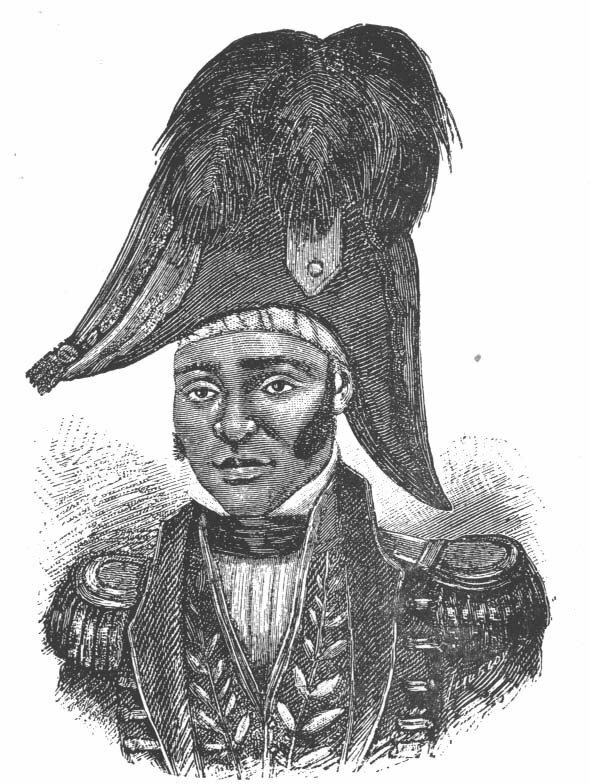 “The blacks were taking their part in the destruction of European feudalism begun by the French Revolution, and liberty and equality, the slogans of the revolution, meant far more to them than to any Frenchman.”  It makes the key point that to write of a colonial power in the absence of the influence of its colonies makes as little sense as to write of colonies without connecting that history to the struggles within the Colonial power. An insight still ignored by too many who split knowledge and importance, cause and effect, by geography. The slave trade and mercantilism connected the world and its events in ways rarely acknowledged with any depth. James rarely rises above his text to make this point (or the others), he simply makes the connections in the way he writes history. This is a strength in terms of thinking through how history is studied, but frustrating also, as I wanted a bit more filling out of these more theoretical insights, and the ones that follow, but they must be pieced together. Of course, most of this book is about how Toussaint alone, ex-slave, genius, of inexhaustible physical stamina, and incarnation of the desire for freedom, could have led the struggle to end slavery. It’s the old question of ends and means of course, and so what I find most chilling is this combination of ends justifying the means with an emphasis put on individual leadership. But that’s always what I’ve found most chilling about Lenin and Trotsky. I suppose my own belief is that an individual will always go wrong, will always fail, will always make mistakes, will always be corrupted by power. This is a good portrait of a man who was undoubtedly most extraordinary, but I believe revolution has to be a collective activity to continue to be revolutionary. That seems to be just a political difference until you realise how little in this book there is about Dessalines or Moise or any of the other ex-slave leaders, what they thought and how they fought and how they worked together day in and day out with Toussaint (or not as the case was). Of course, what I love about James is that he seems to be continuously interrogating his own orthodoxies and challenging his own statements, there’s a brilliant footnote on page 338 drawing parallels with a quote from George Lefebvre on the fact that we shall never know the real names of the leaders of the French Revolution, the ones who did most of the work and actually raised the masses far from the orations of the figureheads. James writes that “the tragedy of mass movements that they need and can only too rarely find adequate leadership.” , the question becomes what that leadership should look like and how it carries out its role. So again you see a very orthodox Marxist sense of civilisation as being European, the march of history in a material though not moral sense. The clear descriptions of not simply the amorality, but the true barbarism of the Europen slavo-owner, the stripping of that moral superiority is incredibly important however, and undeniably differentiates him from almost all other historians. I think there is plenty of places in the rest of the book where James arguably undercuts some of these same ideas on progress and civilisation as well to some extent. But in a deeper sense the life and death are not truly tragic. Prometheus, Hamlet, Lear, Phedre, Ahab, assert what may be the permanent impulses of the human condition against the claims of organised society. They do this in the face of imminent or even certain destruction, and their defiance propels them to heights which make of their defeat a sacrifice which adds to our conception of human grandeur.